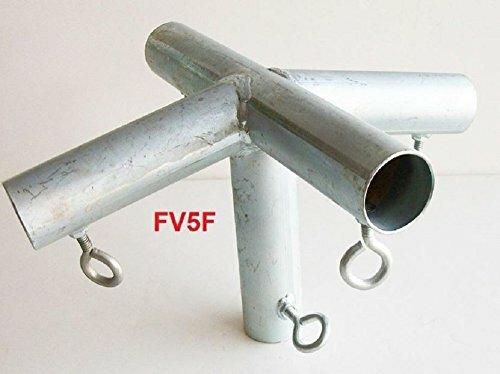 FREE SHIPPING~~5 way TOP CENTER LOW PEAK with DOWN LEG 1 3/8" fitting (FV5F)~~ Quantity of 1 piece with eye bolts~~To be used with 1 3/8" EMT pipe and is available at most hardware stores ~~20% restocking fee if returned. You will be responsible for shipping both ways. If you have any questions about this product by Golden Valley Tools & Tarps, contact us by completing and submitting the form below. If you are looking for a specif part number, please include it with your message.